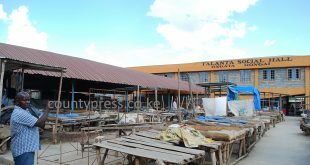 Home / County News / Kijabe: Is he most powerful MCA in Kenya? Kijabe: Is he most powerful MCA in Kenya? 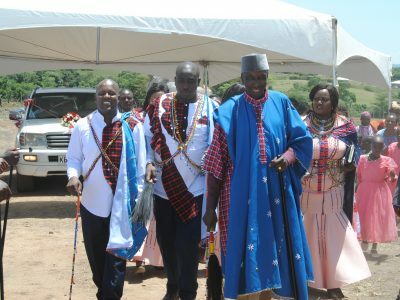 When Kijabe Kuyo Tunai, the enigmatic Kimintet Member of County Assembly (MCA) recently hosted President Uhuru Kenyatta during the wedding ceremony of his son, Daniel Kijabe at his Kilgoris home, the whole of Narok reverberated in surprise and disbelief. Such is the power of the county legislator who is dreaded and whose word is final as far as the county politics are concerned. Whenever he enters the county assembly floor, all the MCAs stand up. He is reportedly feared and respected in equal measure by all at the assembly. Kijabe is not your an ordinary leader, but a man who wields immense powers far and wide. Seemingly, the soft-spoken ward rep runs the show within and without the county. 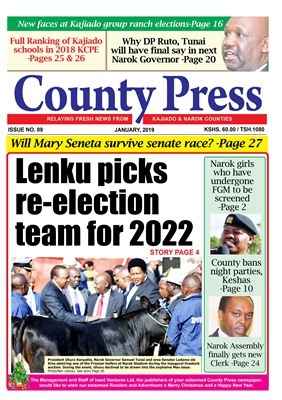 The MCA, who is a ‘dad’ to the Narok Governor Samuel Tunai, is said to have bankrolled the governor’s campaigns in 2013. 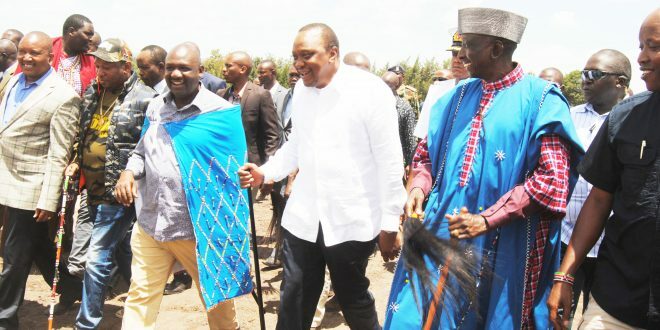 A wealthy businessman who sources say owns several hotels and camps in the world-famous Maasai Mara Game Reserve and a chopper, Kijabe is unassuming. The county legislator has never lost an election since he joined politics over 25 years ago, and is the only MCA who contributes to assembly debates in Kiswahili. His contributions are always taken as final assembly decision. His close associates describe him as ‘powerful and genius’. When it comes to county hiring, his selection is a sure bet. “If he promises to get you a job, be assured you will get it by all means. He calls shots in the county and no crucial decision is made without his approval,” said John ole Moriaso, who served as a civic leader with Kijabe. In the run up to the repeat Presidential election, Kijabe single-handedly fuelled over 200 vehicles for the entire campaign period to facilitate the election of his bosom friend-President Kenyatta. 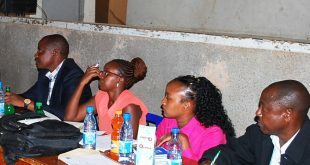 Owing to his huge influence, Kijabe was unanimously elected as the chairman of the ‘Kamukunji’, which is an informal deliberation committee, where he convenes meetings with MCAs whenever need arises, such as passing of crucial financial bills. Assembly’s Majority Leader Benard Torome describes Kijabe, who has been nicknamed ‘Museveni’ due to his long grip of power, as a humble and wise person and an asset to the county assembly. “He is our father. He is the senior most MCA who has immense experience in politics, all of us always seek counsel from him as he never lacks ideas,” states Mr Torome. Despite his power and influence, Kijabe is publicity shy and always avoids the glare of the media, unless when he wants. Kijabe enjoyed a close relationship with retired President Daniel arap Moi and currently with Kenyatta and Deputy President William Ruto. He has a direct access to all of them whenever he wants to meet them over various issues. The other powerful MCA who has hosted the President and his deputy, since their ascendance to power, is the former Purko Ward legislator Musa Kipaika alias Mbuyu wa Purko. 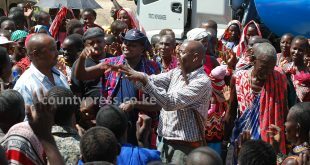 The civic leader received Uhuru and Ruto at his Purko home, Kajiado Central, where the two leaders had nyama choma lunch. For Kijabe, his security comes first and before he appears for an event he deploys his security aides’ hours earlier. The MCA never minces his words, never mind the powers that be. In 2002 election, he told former President Moi point blank that he was wrong to support Kenyatta for presidency and his ‘project’ was bound to fail, saying the candidate was a political greenhorn. In another incident, Kijabe openly told Moi that the Maasai community was not like goats to be tied with ropes on their necks and taken anywhere one wished. He had close ties with the former Vice-President Prof George Saitoti whom he hoped would be Moi’s successor. It irritated him that Moi did not pick his choice. Kijabe, has proved to be a master schemer in the Narok County politics with those working closely with him saying that Governor Tunai would not have been where he is today without the support he has received from him. 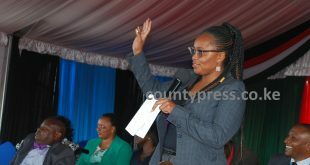 Courtesy of his financial muscle, the assembly members have never attempted to interfere with the working of the County Government executive arm. According to sources, house committees and other positions such as the Leader of Majority, his deputy, and Minority Leader are only elected as per his wish and none can challenge his decisions. With all the influence he commands, Kijabe is arguably the most powerful MCA in the country. Next Fashion: Beauty of the month!